A few weeks ago, I had a terrible cold . I was low-energy, stuffy, cranky, and couldn’t sleep. Thankfully, I got over my cold and I feel ‘normal’ again. If only my ‘normal’ were really normal. 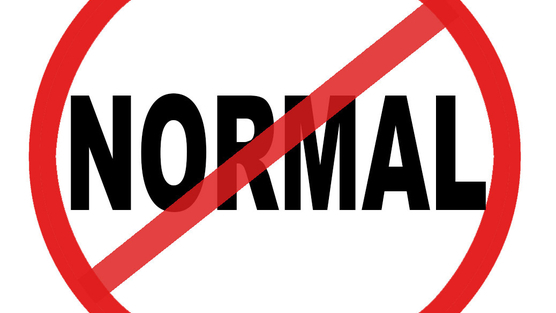 For 32 years, I’ve really never felt ‘normal.’ This loss of normalcy is something with which all chronic disease sufferers must wrestle. It’s crippling to contemplate the magnitude of scleroderma and the impact it has had on my life. I thought I came to terms with this years ago, but the truth is, I don’t know if that’s possible. I’ve cultivated pretty good coping skills, but sometimes, I daydream about taking a vacation from scleroderma. On this fantasy vacation I would (in no particular order) …. I could go on and on with my wish list. Although I try to be a pretty upbeat person with an attitude to match, sometimes I’m simply sick of being sick! I’m sick of living in a body that refuses to function properly. I’m sick of all the doctor appointments, the chronic pain, and the limitations scleroderma places on my life. I’m sick of finding out I need gum surgery and having to worry about what that means in terms of complications from scleroderma. I’m sick of not being able to open packaging, cram a book onto a bookshelf, or twist off a bottle cap. I’m sick of rarely finding clothes I find attractive and mostly settling on garments that hide as much of me as possible. I’m sick of concealing my face behind makeup. I’m sick of being stared at by strangers. I’m sick of looking in the mirror and not seeing the person I know I am on the inside staring back at me. I’m sick of going to bed in pain each night and waking up in pain each morning. I’m sick of living with an ostomy bag. I’m sick of all the anxiety and uncertainty that accompanies an incurable and chronic disease. I’m sick of fighting a body that’s been fighting me almost my entire life. I’m sick of feeling guilty for complaining because I know many scleroderma patients would trade places with me in a heartbeat. I’m sick of being upbeat and qualifying everything with the sentiment; well, it could be way worse. I’m sick of the fact that unless we find a cure, fellow patients and I will never ever get a single solitary second’s worth of a vacation from this disease. 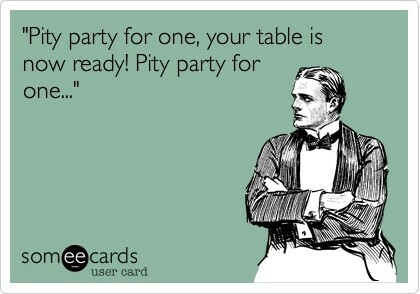 Most of all though, I’m sick of this self-pity party I just threw myself. Rant over. That is all. I’ve Been Awarded for My Frozen Pizza Fiasco! Health Insurance – Right or Privilege? I wish I was half the writer you were to put to words something smart, heartfelt and caring. I love your post and always want to give you a hug after reading them. I particularly relate to this post. You may notice at many of the boys games, I sit on a cushion or stand. I injured my SI joint over 10 years ago and have pain in my lower back/tush area ( known to Jeff as “my bad spot” that he constantly rubs) and get shooting pain down to my foot most days. I would never attempt to compare this to Scleroderma and what you have experienced. However, I could relate to this post since so many pain days as I walk down the street, I think how nice it would be to be pain free and feel normal. I do have some days much better than others, I hope you do as well. Please know, that you are a constant inspiration. You may never get your ” spring break”, but you are always a pleasure to be around and a very special person. Keep smiling. You might have some physical limitations on the outside, but you are still one of the strongest people I know. Thanks Lisa! Going through life in pain is tough! You do it very gracefully. Like you, I have days that are much better than others, which I try to always appreciate. Love your posts. And it’s so damn tiring to be strong, to keep your chin up, to hear others tell you “it could be worse”, to hear your own self say “it could be worse” or the dreaded “I don’t know how you do it”. Sad that even a momentary lapse makes us still feel guilty. Here’s wishing for a giant “time out” button to add to your list of wishes. Let the world stop for a bit while we breathe. Thanks for writing what so many of us feel but can’t articulate the way you can! Thanks so much Kristin for your beautiful words. You are my hero, Lisa. You always have a smile on your face and you make others happy all the time. You’re the best!!! I need your blogs to remind me it is possible to face another day and ri cope with all of this!